"Worldbuilding.io got invited to celebrate Comically Gaming's 100th episode." 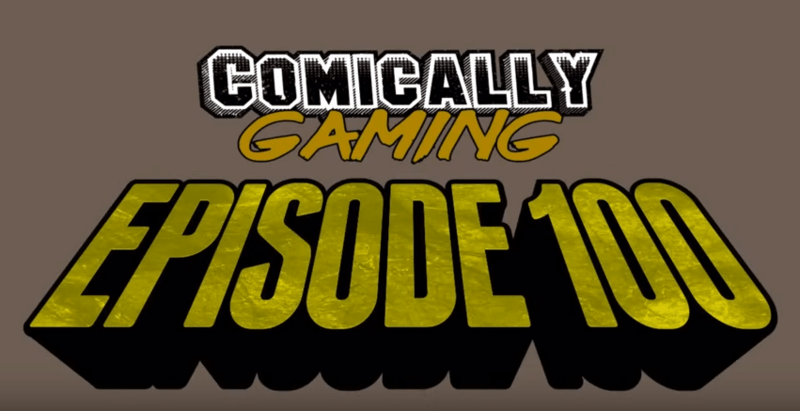 It's not (only :) ) because I got to be on [episode 89](blog/Comically Gaming invited worldbuilding io) nor that I was invited to come and celebrate their 100th episode but getting to 100 episodes is really something! The Games Comics and Culture podcast is a passion project. It always takes love, often money and definitely a crazy amount of time to offer something for free and hope it'll get noticed and god willing appreciated. It's incredible to be alive in a time where you have the opportunity to explore any passion and build a near professional quality project without any commercial purpose.Unfortunately it's also a time where everything is indexed by Google and any audience is engulfed and spoiled with free quality content. Please keep this in mind while enjoying passion projects, the Games Comics and Culture podcast or any other and consider giving back a little love! To the guys of Comically Gaming, thanks I really enjoyed it, should do it again sometime!